With significantly declining acreage devoted to vineyards, I had basically written off these romantic-sounding islands. What a pleasant surprise then, to come across a bottle of 2010 Firelands Gewürztraminer from Isle St. George. Also known more prosaically as North Bass Island, Isle St. George achieved AVA (American Viticultural Area) status in 1982, and vineyards currently cover more than half the island. Because of its shallow waters, Lake Erie tends to be warmer than the other Great Lakes. These waters give Isle St. George a more temperate climate than the mainland. In fact, according to the Firelands website, the warm water even circulates directly beneath the island through a series of limestone caves. These unique conditions give the island’s vineyards up to six weeks more ripening time than nearby mainland vineyards. Even with these natural warm water pipes, Isle St. George is not Sicily. Varieties accustomed to cooler climes do best, and certainly Gewürztraminer falls on that side of the fence. I had high hopes, and though the straw-colored Firelands Gewürztraminer may not have been the most complex expression of the variety I’ve ever tasted, it held its own admirably, offering an excellent value for the price. The telltale aroma of litchi fruit dominated the nose, and it carried through to the palate as well. A bit of pineapple poked through, leading to some gingery spice and some dry minerals on the finish. Paired with Pad Kra Praw (chicken with basil and Thai chilies), the gingery kick really got my attention. I wouldn’t hesitate to buy it again. Isle St. George may have some reputation-mending to do, but if this Gewürztraminer is any indication, the island is on its way to reclaiming its place among America’s important wine regions. 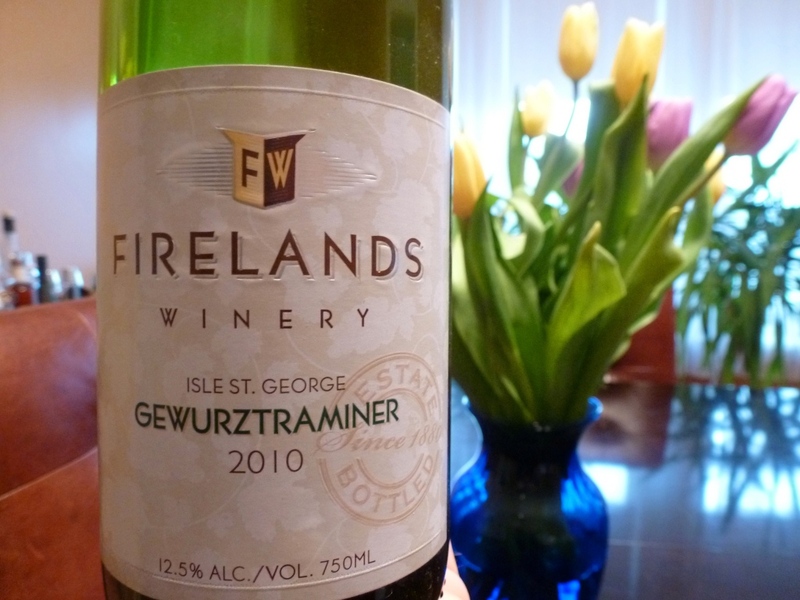 2010 Firelands Gewürztraminer: Aromatic, fruity and dry, with litchi, ginger and minerals. 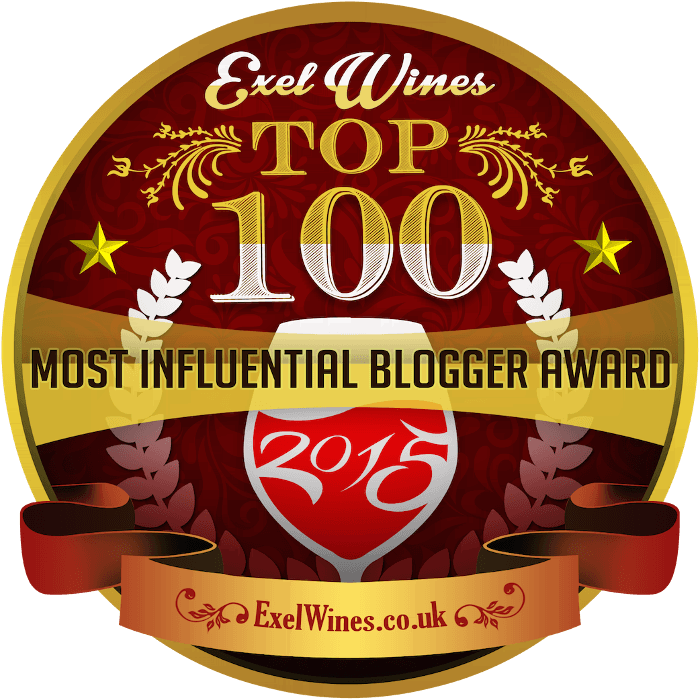 Definitely try it — this wine is a unique piece of American viticultural history. Chill well, and pair with lightly spicy Asian cuisine. Find It: I purchased this bottle from In Fine Spirits for $14, but they are currently out of stock. 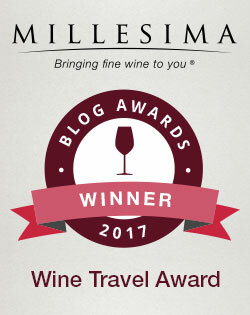 They will be happy to order some for you, or you can order the wine directly from the Firelands Winery website. Time To Disconnect Happy Birthday, Odd Bacchus!